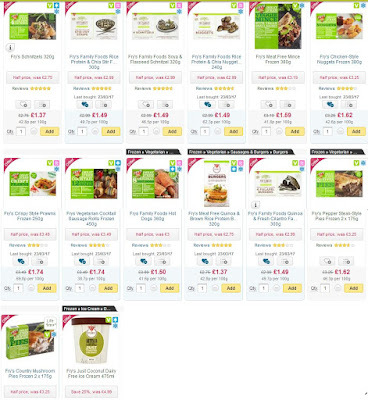 The Vegan Magpie: Ocado Frys offer is ending! Hello! 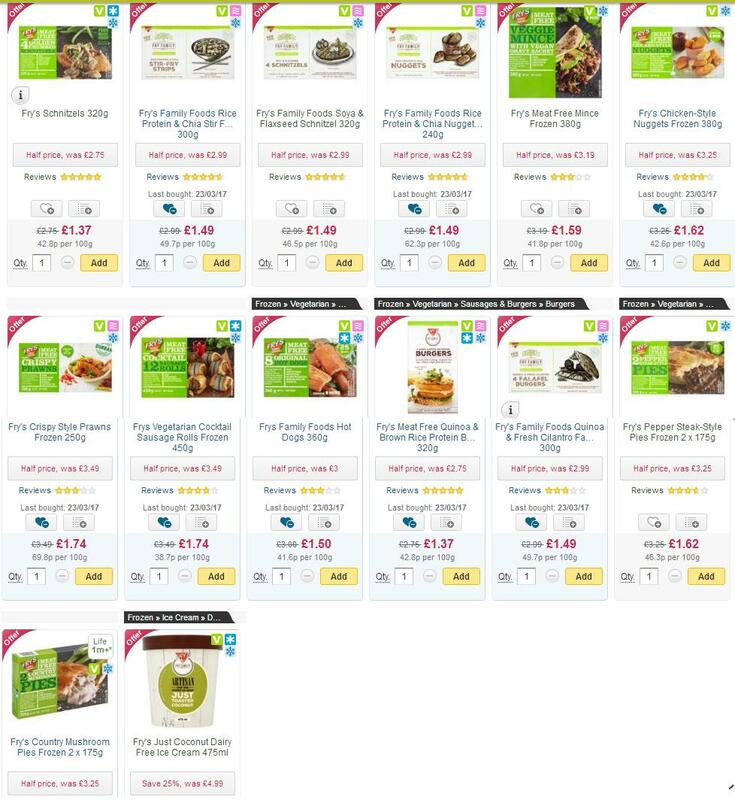 I previously posted about Ocado offering Fry's vegan food for half price! Well this offer is coming to an end, on the 18th April (you have just a couple of days left!) So I thought I'd post it one last time so no one misses out. Also there are always vouchers about on places such as vouchercodes.co.uk/ocado so check here to see if one suits you (based on the minimum spends for them)! Please check you're happy with the price before you buy. Hope this helps! Would love to see pics of what you bought from this offer, if you fancy posting them on my Twitter page (https://twitter.com/VeganMagpie) or below!